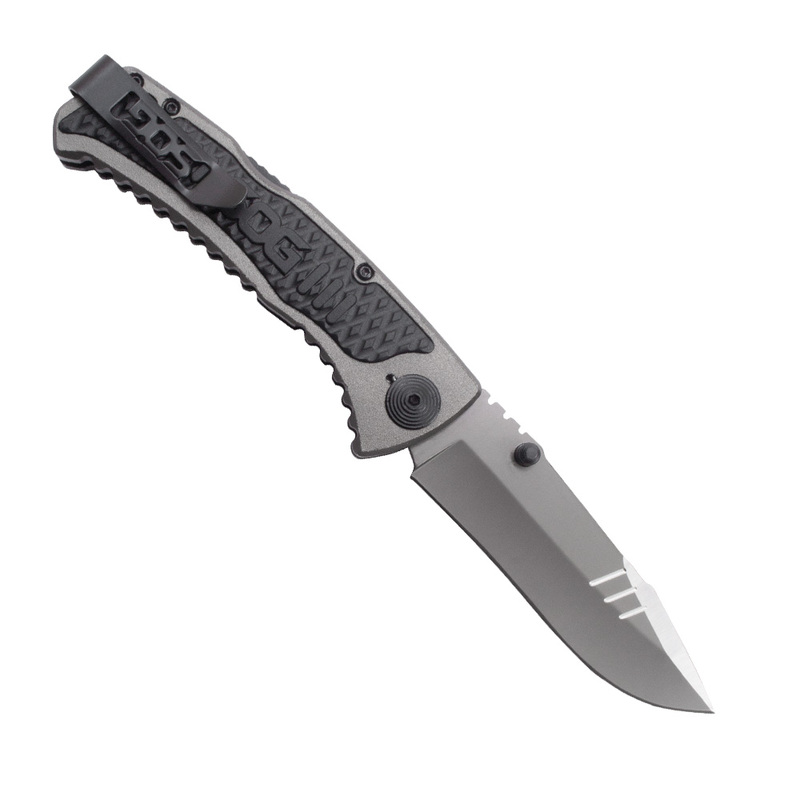 Built to be stout and dependable, the Sideswipe is constructed of contoured anodized aluminum handles with textured GRN inserts, proven lockback mechanism, and a quick assisted, bead blasted 7Cr15 stainless steel blade. 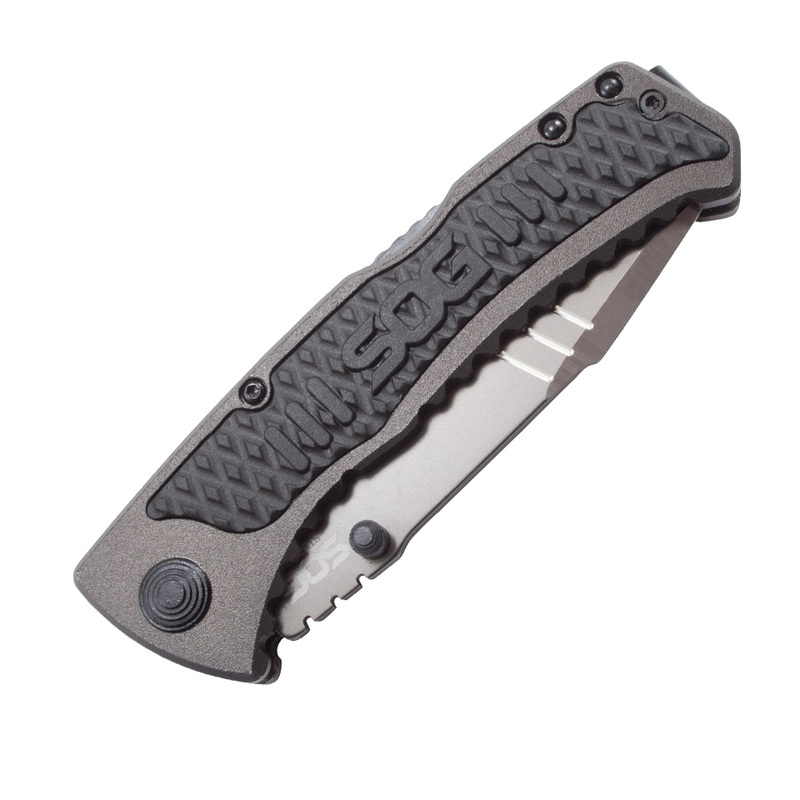 Built to be stout and dependable, the Sideswipe makes a great knife for everyday carry. 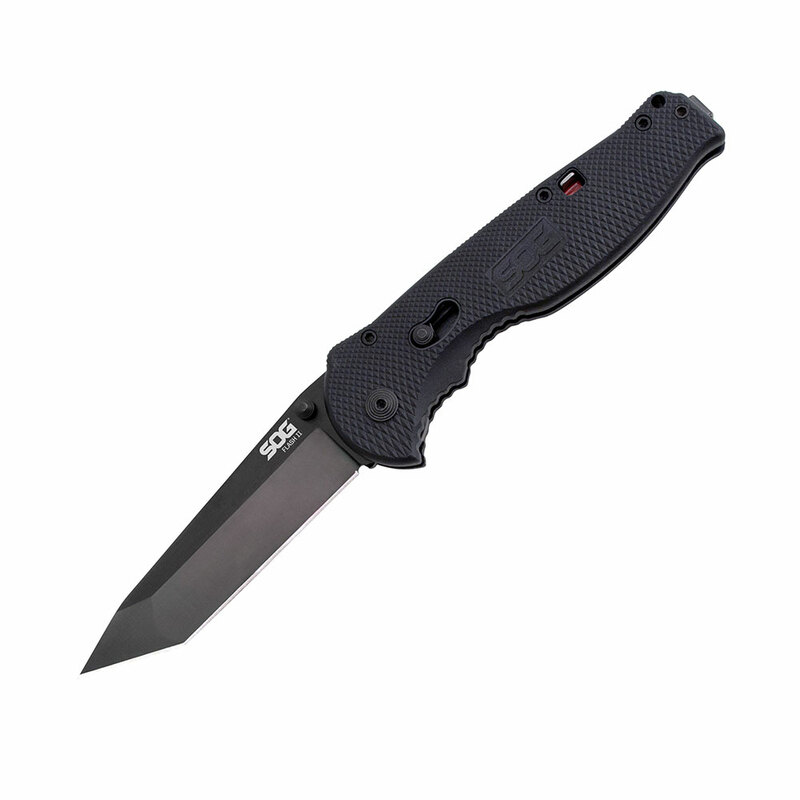 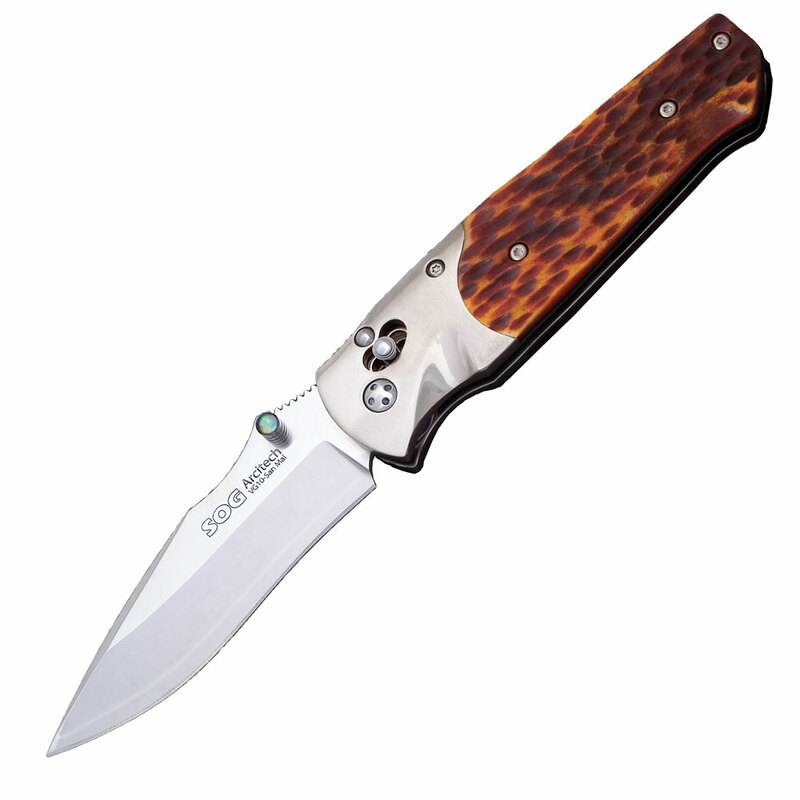 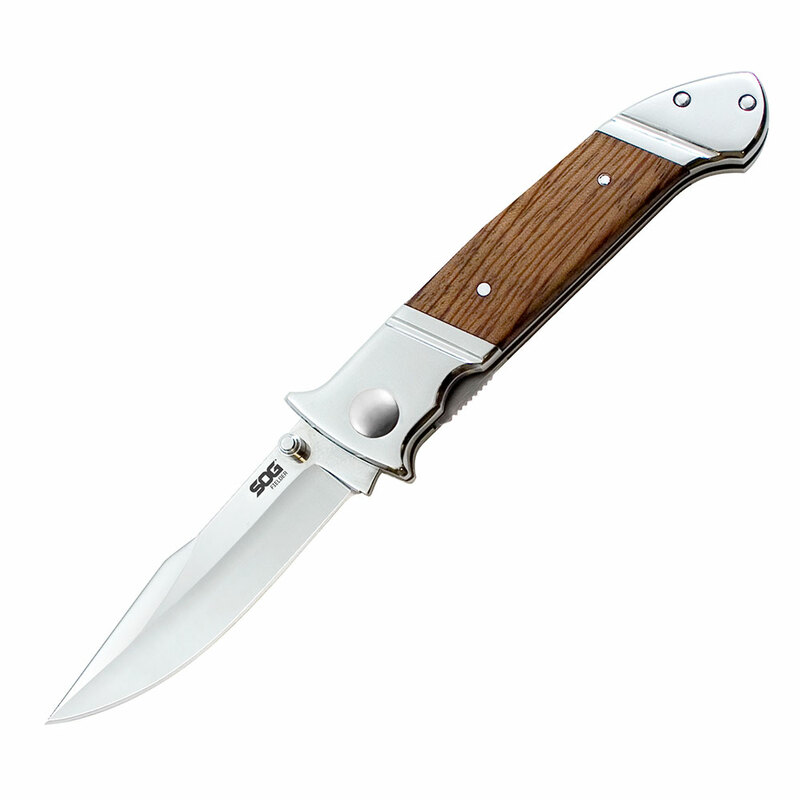 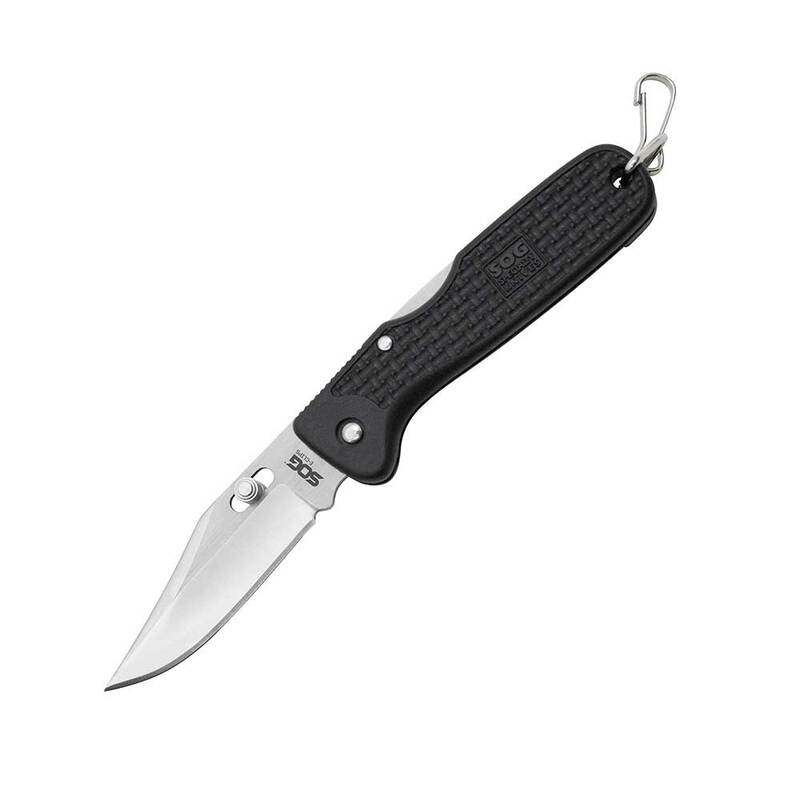 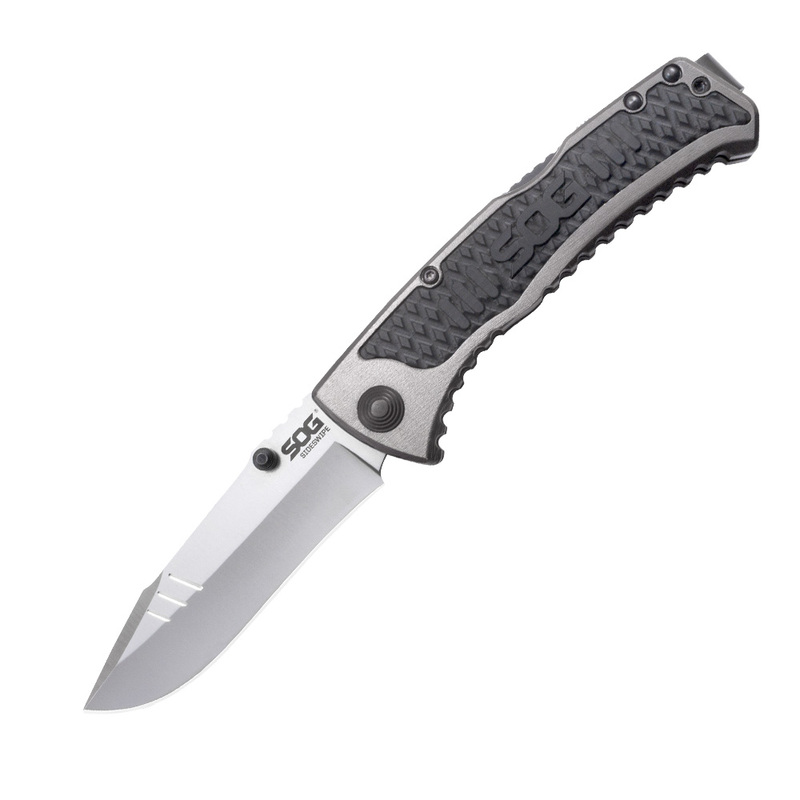 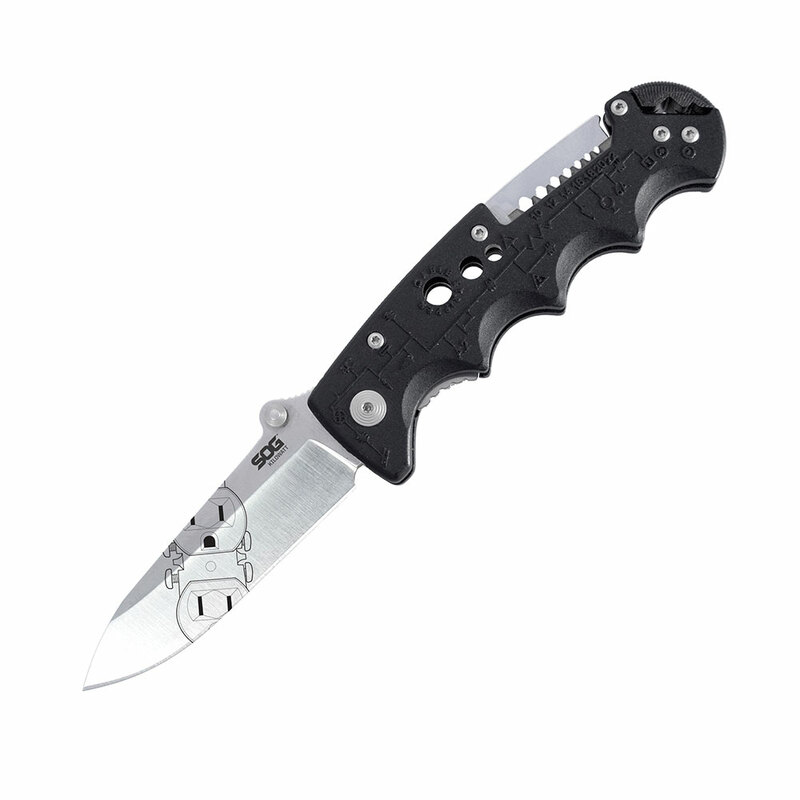 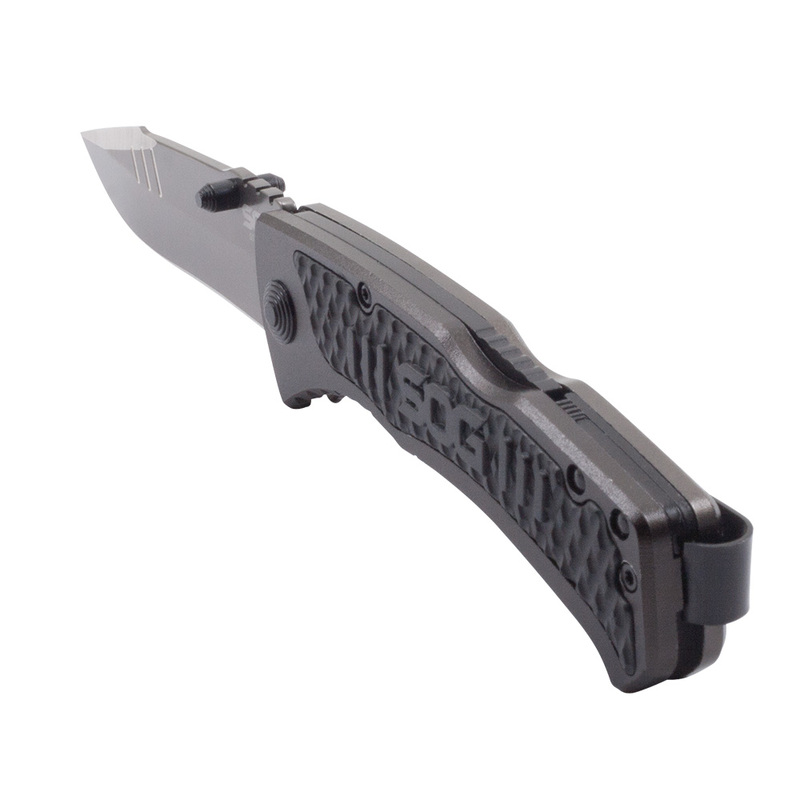 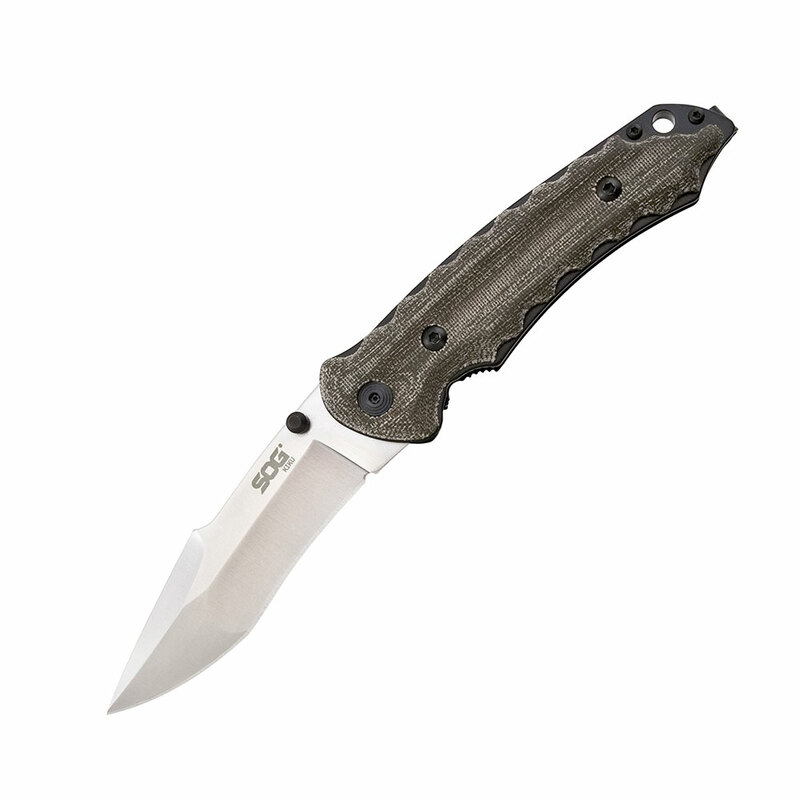 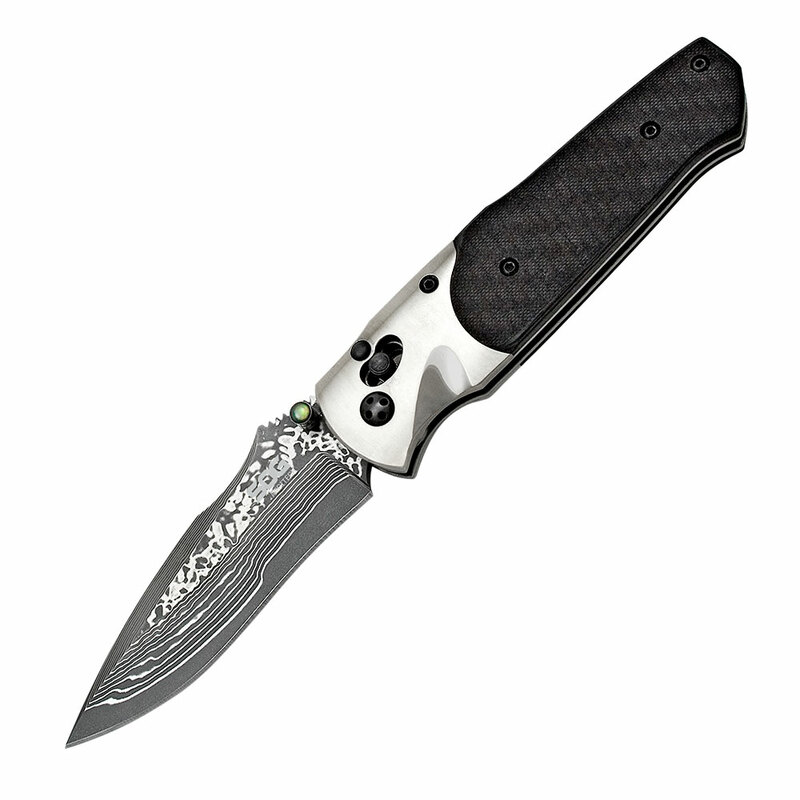 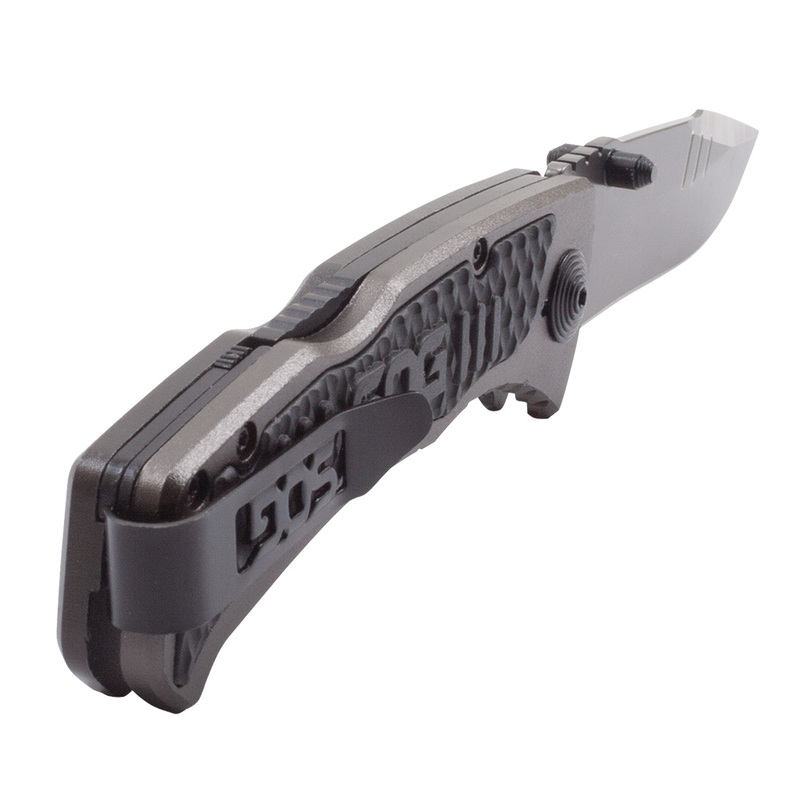 It is constructed of contoured anodized aluminum handles with textured GRN inserts for comfort and grip, proven lockback mechanism for failsafe blade lockup, and a quick assisted, bead blasted 7Cr15 stainless steel blade. 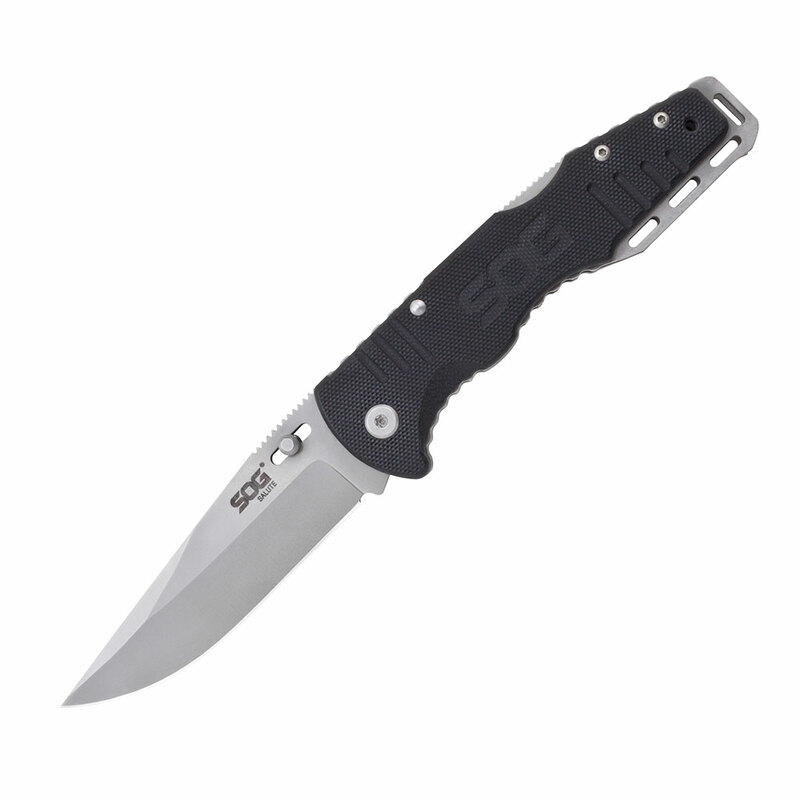 The blade is accessed via SAT (SOG Assisted Technology) so that a simple push on the thumb stud will propel the blade out and locked in the open position ready for duty. 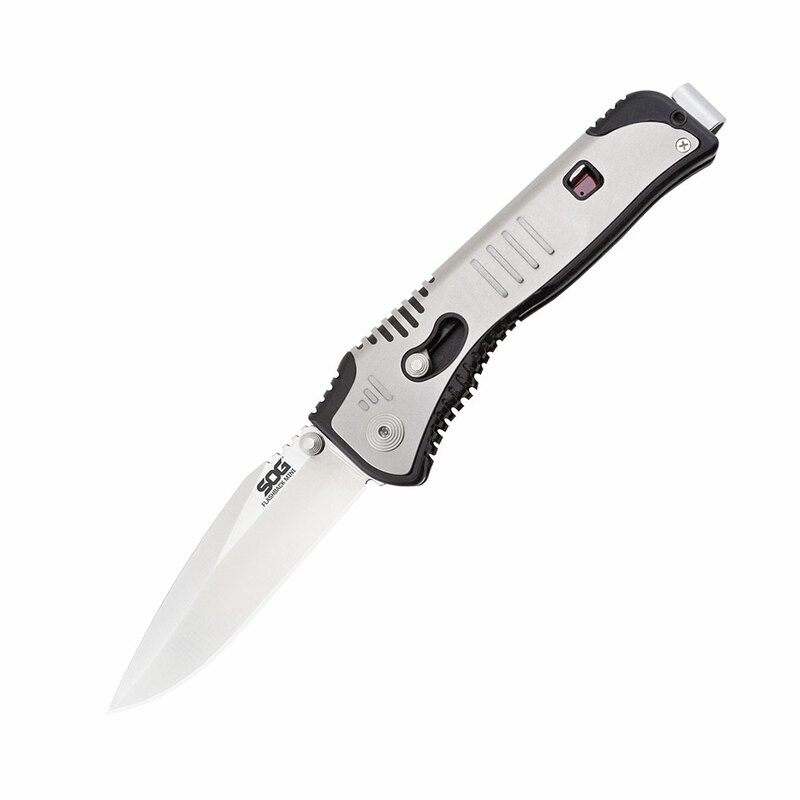 By holding the Sideswipe in your hand, you’ll feel its build quality and robustness. 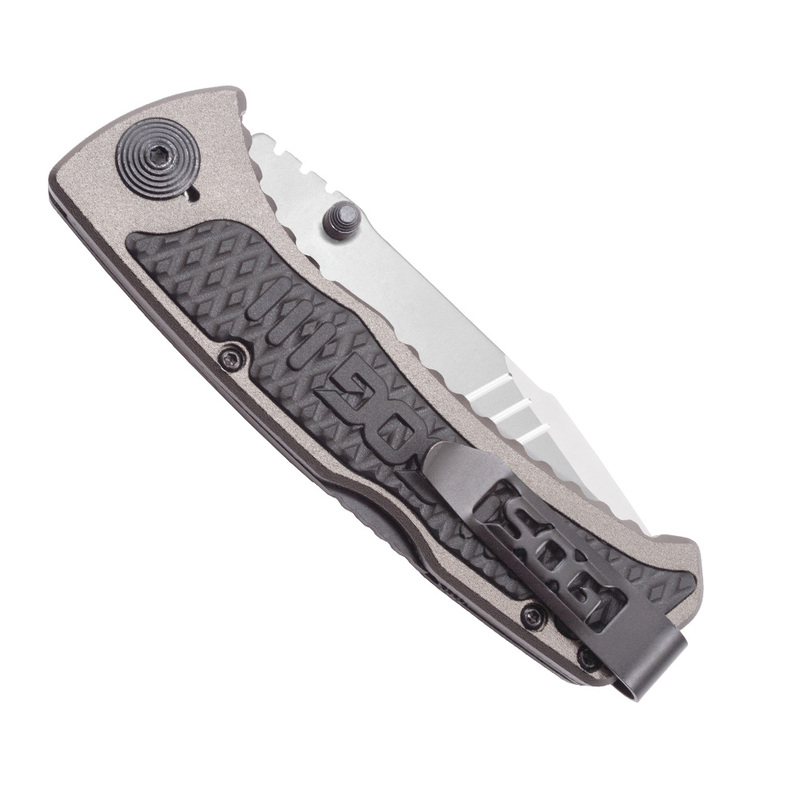 Equipped with a reversible low-carry pocket clip, the Sideswipe makes a great EDC.